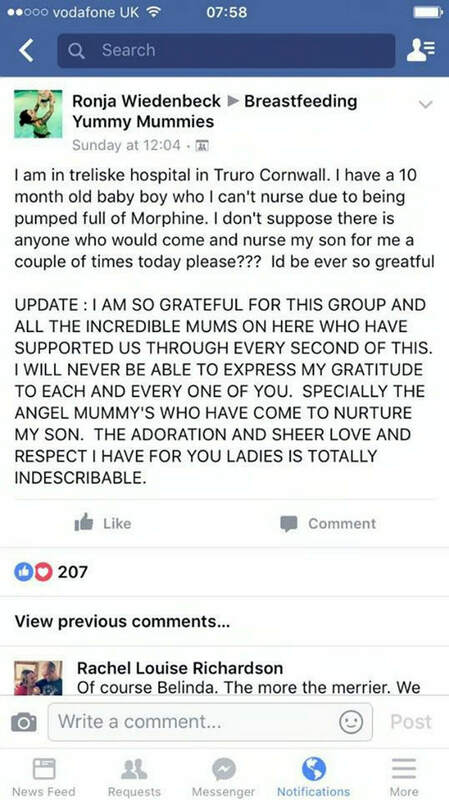 A mum who was rushed to hospital and left too sick to breastfeed her baby, received over a thousand offers for help from other mums, after she posted a message on Facebook. 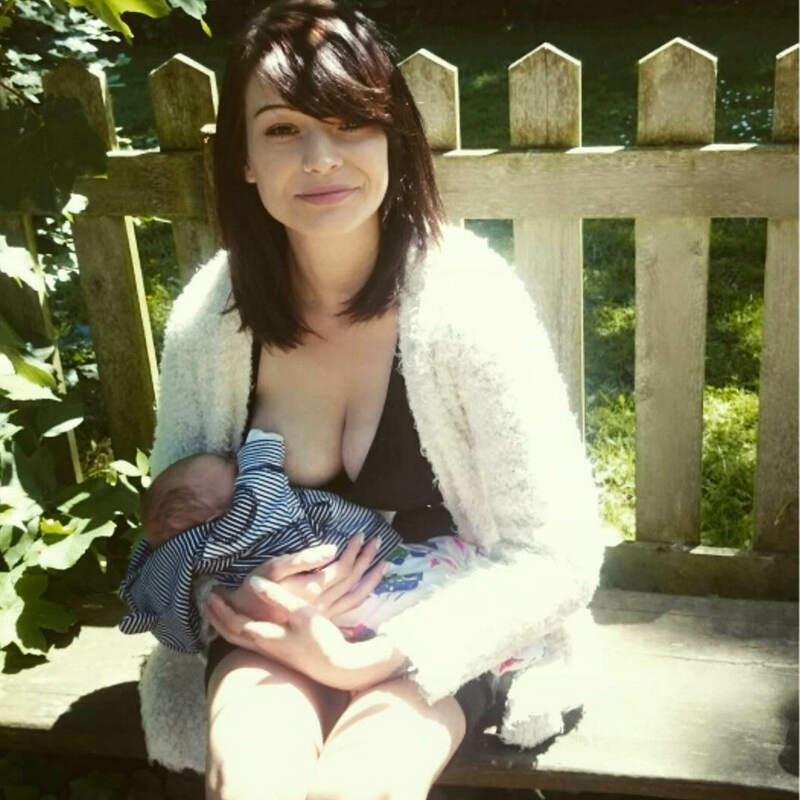 26-year-old Ronja Wiedenbeck, from Cornwall, was given strong medicine to soften her extreme abdominal pain, which had prevented her from breastfeeding her 11-month-old baby, Rio. Suffering with ovarian cysts, the distressed mother decided to visit a Facebook group called, ‘Breastfeeding Yummy Mummies‘, while lying in her hospital bed, reports The Sun. She then sent a hopeless plea out to other group members asking if there were any women out there willing to feed Rio, who refuses to drink from a bottle. Miraculously, in less than a hour, Ronja had over a thousand responses and not too long afterwards, a complete stranger was by her hospital bed feeding little Rio. I was pumped full of morphine and it seemed instinctive for someone to feed him in a way that he has been used to and he’s comfortable with. When he was about to be fed by the first lady he looked over at me, almost to ask for approval, it filled my heart with such joy and massive relief. I’m so grateful and totally overwhelmed with the response to the message. Since the post, five different women have breastfed Rio with two mums even taking him home to look after for the day.